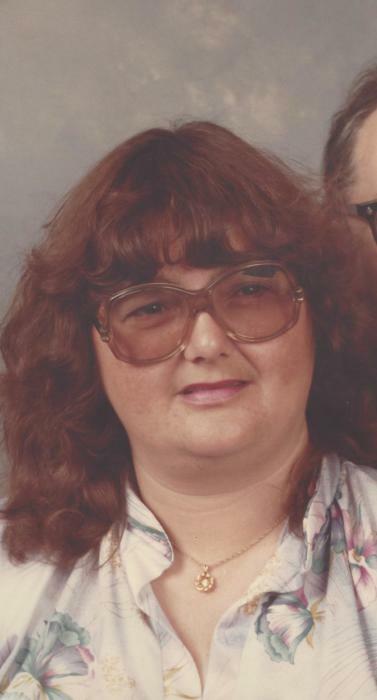 Fayelene Adams, 69, of New Sharon, passed away Tuesday, August 21, 2018 in Auburn at The Androscoggin Hospice House surrounded by her loving family. She was born in Madison, Maine the daughter of Roy Creamer and Freda “Lehay” Creamer on April 24, 1949. In 1967, ten days after graduating high school Fayelene married her one true love Rodney Adams. They had three wonderful boys together. They were her pride and joy. In the 1970's and early 80's they lived in Antioch, California where she worked as a hall monitor and a teachers aide for a short time. The job she was most proud of and should be most remembered for was being a loving wife and mother. Fayelene made sure her boys had wonderful memories growing up. She was an avid baseball mom, sometimes attending three games in one day with a smile! She was also a Cub Scout Leader for her boys Troop. She wanted to give her family all that she could putting her own needs behind everyone. Her family was number one! Fayelene loved to Knit, do bead work, crochet, fish and hunt although she had no sense of direction at all and would get lost. She also loved flowers even though she lacked a green thumb. Fayelene was an animal lover. She watched the movie “Old Yeller” at least three times before she could get through it with out crying. She had an amazing loving, kind and healing way about her. She will be greatly missed by so many. She is survived by her loving husband that stood by her side through thick and thin Rodney Adams, their three boys Kenneth Adams and his wife Raejean, Jason Adams and his wife Patty and Jeffrey Adams and his wife Wanda. Their grandchildren Katie Adams and Brian Cluckey. Her siblings Joe Creamer, Elizine Larson and Janice Horr. Her precious dog Storm and several nieces and nephews. A graveside service will be held Saturday, September 01, 2018 at 10:00am in Evergreen Cemetery in Solon, Maine followed by a potluck at Embden Community Center in Embden, Maine.